← What Can I Recycle? 1114 Judson Ct. Available for 2019. 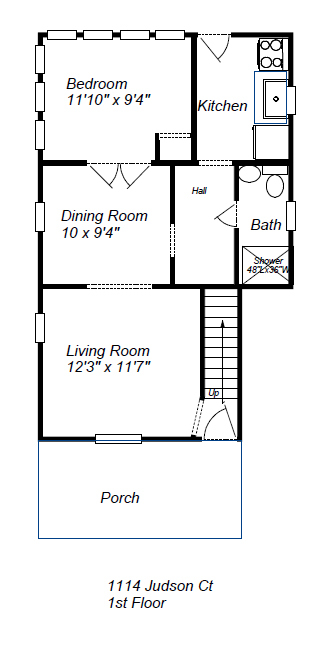 Check out 125 Adams 4 bedroom! Find this house in the driveway next to 1024 Church. You’ll see this house tucked away in the back. Very nice house on Judson Ct. near Church. Furnished! Super cute house. Terrific location right off of Church between Packard and Hill. (Take the driveway next to 1024 Church St.) 4 bedroom house for rent with 2 baths and a kitchen. Max 6 people. New interior paint in the living room and basement, new blinds throughout house and 1st floor shower has new tile! This house has central AC. We offer monthly cleaning service for the common areas free of charge. Lawn and snow service are also provided. 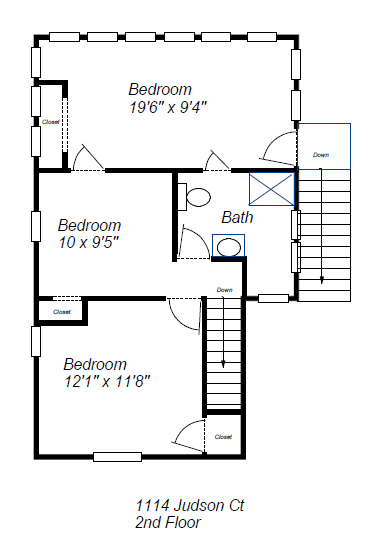 This house is furnished with full size beds, computer desks, dressers, living room and dining room furniture. The kitchen has a stove and refrigerator, and a dishwasher. This house is a bit off in Google maps. If you need to get driving directions use this address – 1204 Church St.Or take Roosevelt Pl across Church St into the driveway that is Judson Ct. The average cost per month per person (4 people) for Electricity and Gas listed below. This information comes from DTE as of 9-25-2018. 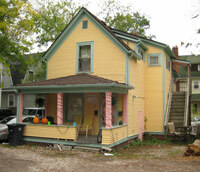 DTE charges (gas & electric) average $ 33.58 person per month for this house. Your usage may vary and can be by careful use of energy. Here are some suggestions to keep utility bills low: Use LED light bulbs. Turn off light and electronics (computers) when not in use. Close the windows and storms in the winter when the heat is on. Have leaky faucets and toilets repaired. Water averages about $15-20 per person per month. If you have any leak get it fixed asap because it can really increase your water bill. 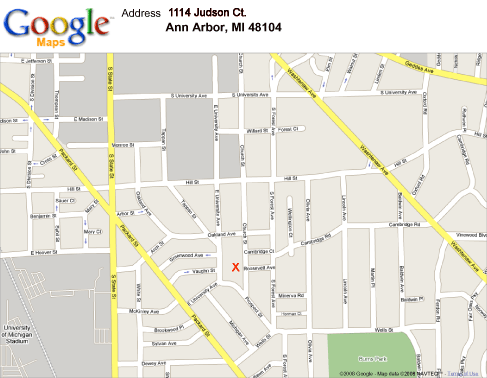 For more information about 1114 Judson please email us or call 734-478-2936.